Several months ago I was amused when I saw a blog linking to my own, and they referred to me as a “closeted rail fan.” Despite “coming out” and accepting the title I still wonder if it is really an appropriate term to call me. I certainly like riding on trains, but I know very little about the physical machine that is a train. 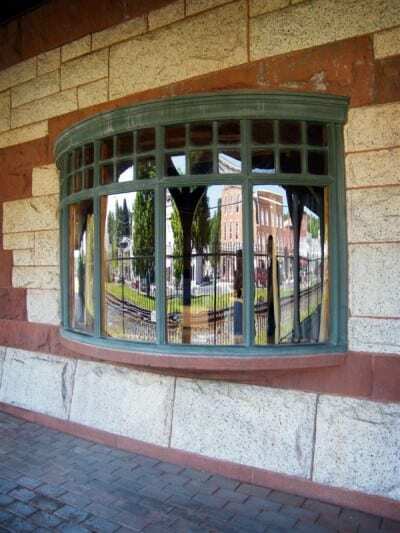 I think my primary interest is the history, and most specifically, how technology affected places and people. And I think it is undeniable that the railroads played a big part in how New York evolved. 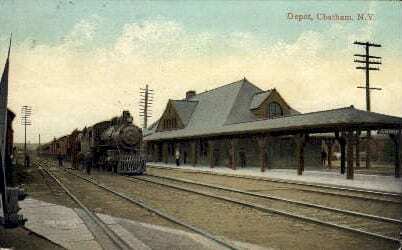 Back when Cornelius Vanderbilt bought the land for the original Grand Central Depot, the location was considered “the boonies,” as City Hall was thought of as the northern end of the city. 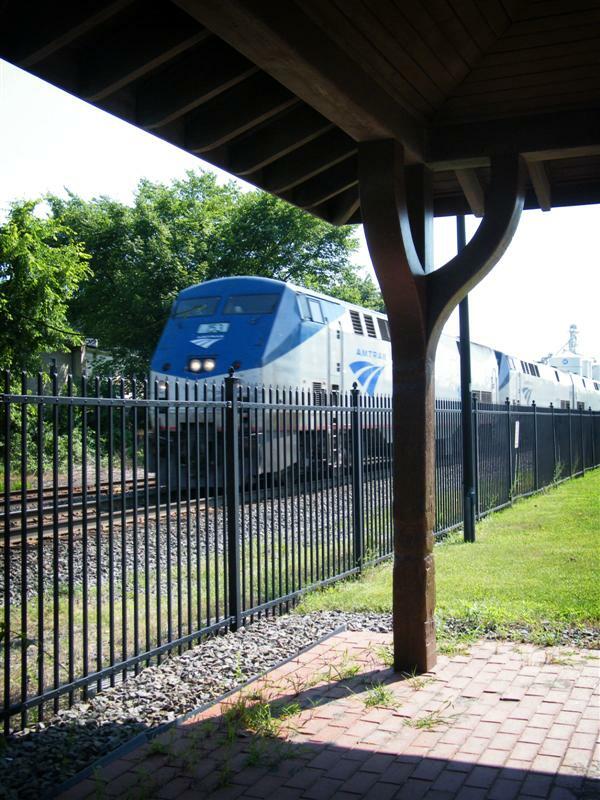 And what would Westchester County be like without the rail? 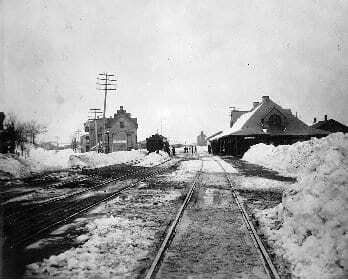 The rail encouraged the people of the area to move north and spread out, turning the rural areas into the suburbs we know today. I think another thing that interests me about the rail is the abandonment. I really don’t know why, but I have a fascination with abandoned places – and the rail has plenty of them. The railroad was once the primary way mail and freight was delivered, and how people got around. But cars became increasingly more popular, and with the advent of the interstate system, cars took the place of trains in getting around. And so stations were closed, rail lines cut, and railroad companies went bankrupt. I do mention it frequently on here, but the Harlem Line is no stranger to abandonment. 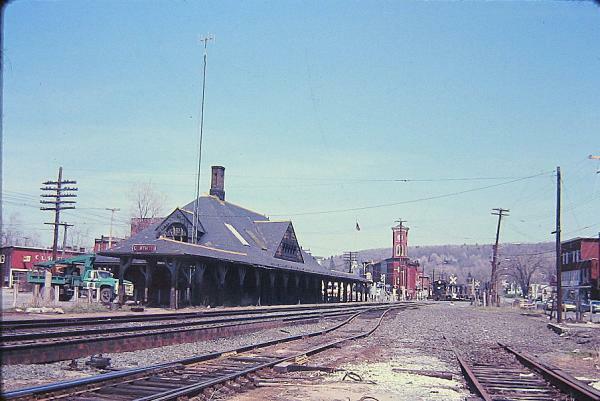 In 1972 passenger service north of Dover Plains ceased, and around 50 miles worth of track, all the way to Chatham, was abandoned. In the grand scheme of things, Chatham was luckier than most. 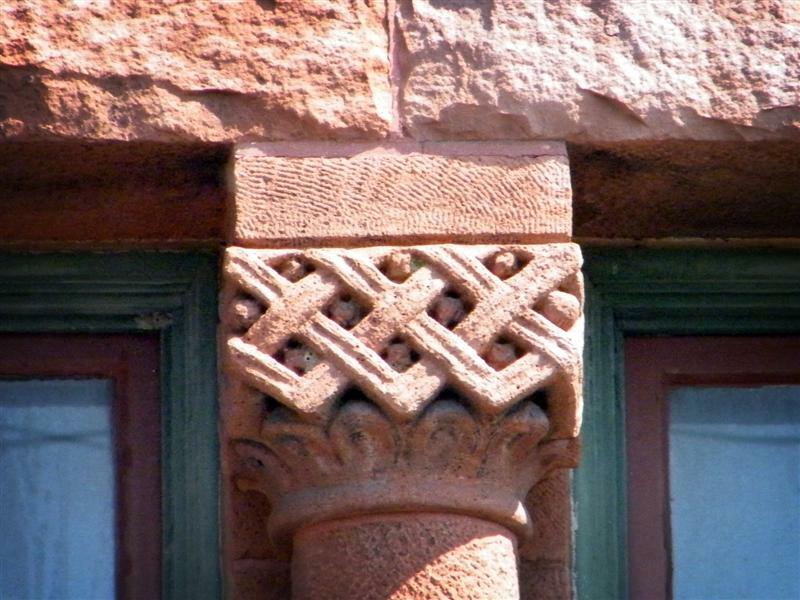 It was once a thriving area for transportation: the Harlem Division, Rutland Railway, and the Boston and Albany all made stops. 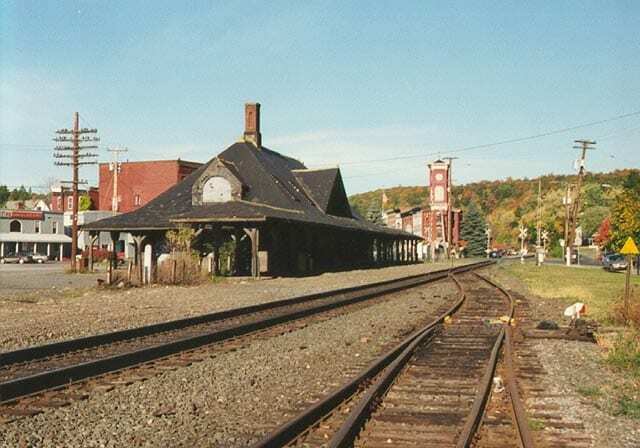 Though the Harlem and Rutland’s track has been ripped out, CSX and Amtrak still use the Boston and Albany track, running through the quiet village without stopping. Quite a few of the former stations on the Harlem Division have really nothing to see… station buildings long gone and mostly forgotten. 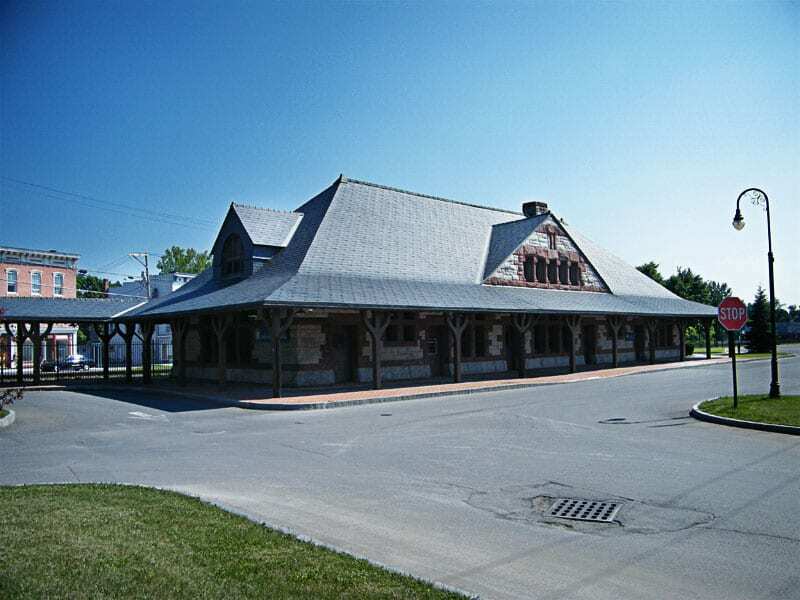 But as I said before, Chatham was luckier than most, the historical Union Station still stands, restored and used as a bank. 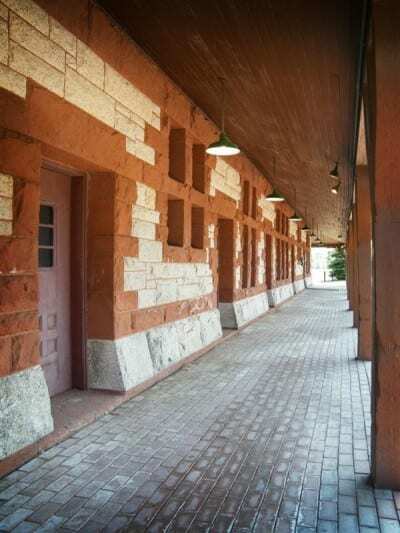 And in 1974 it was placed on the National Register of Historic Places. 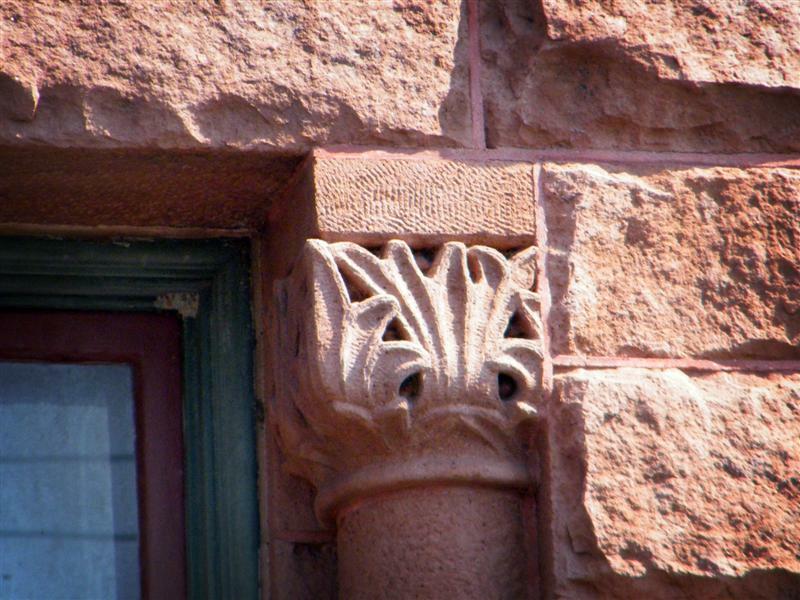 Henry Hobson Richardson was an influential architect in the 19th century, popularizing a style of architecture that was named for him: Richardsonian Romanesque. 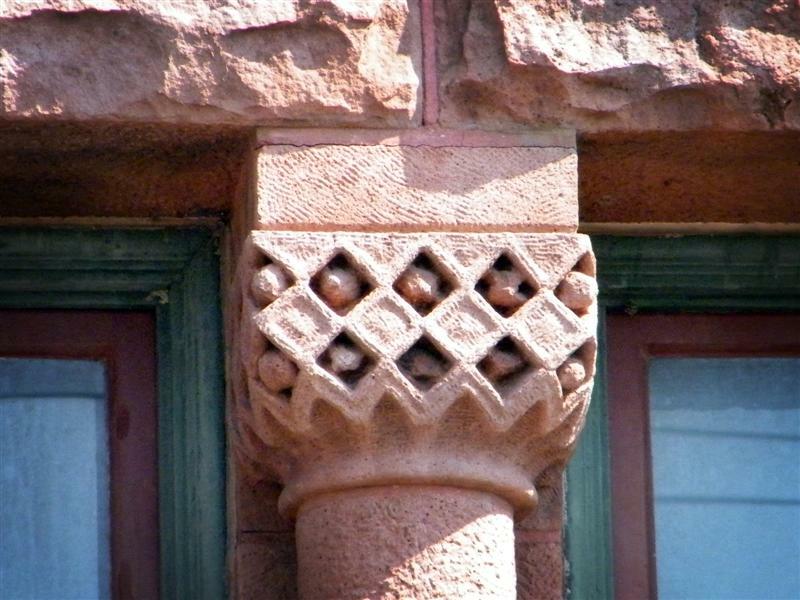 The revival style incorporated 11th and 12th century European Romaneque traits. Although Trinity Church in Boston was his most notable work, he designed several railroad stations for the Boston and Albany. Several architects trained with Richardson, including Charles McKim and Stanford White, who designed the original Pennsylvania Station, though in the Beaux-Arts style. Following Richardson’s style, however, were two others that worked for him: George Shepley and Charles Coolidge. 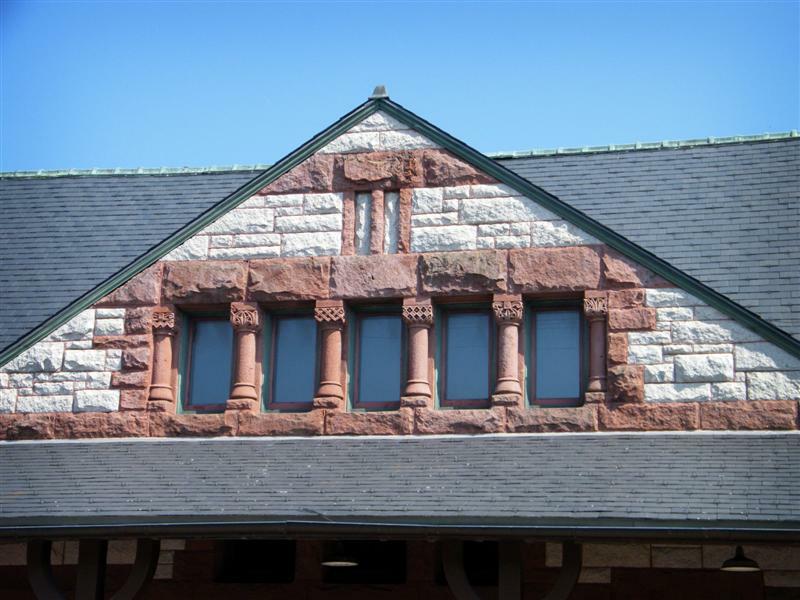 Their firm Shepley, Rutan and Coolidge, based in Boston, completed Richardson’s partially completed and pending projects, one of which was Chatham’s Union Station. In total, the firm completed 23 of B&A’s stations, including Boston’s South Station, still in use by the MBTA. 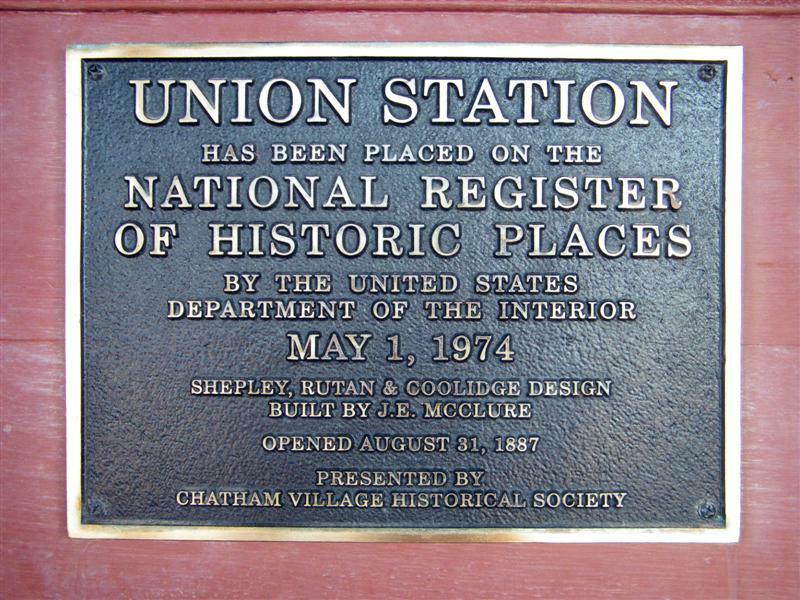 Chatham’s Union Station opened on August 31, 1887. 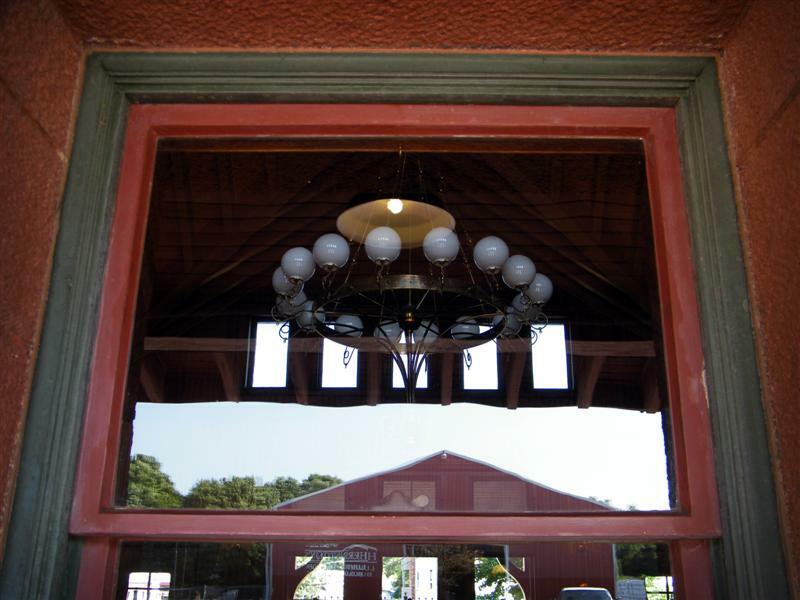 The ticket office in the station was closed in 1960, and pieces of the inside, including the waiting benches, were sold off. Passengers used the station up until it’s final closure in March of 1972, ending the many years it served as the terminus of the Harlem Division. 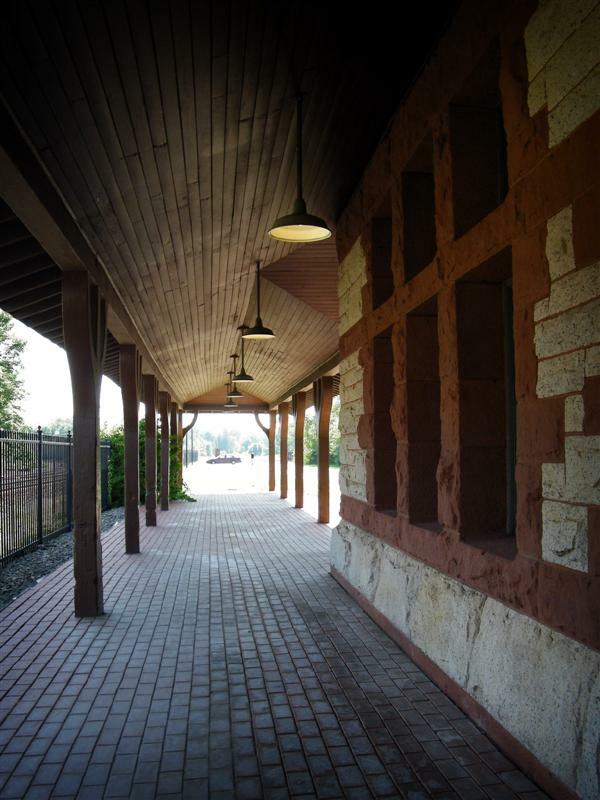 The station has been restored, and reopened in 1999. 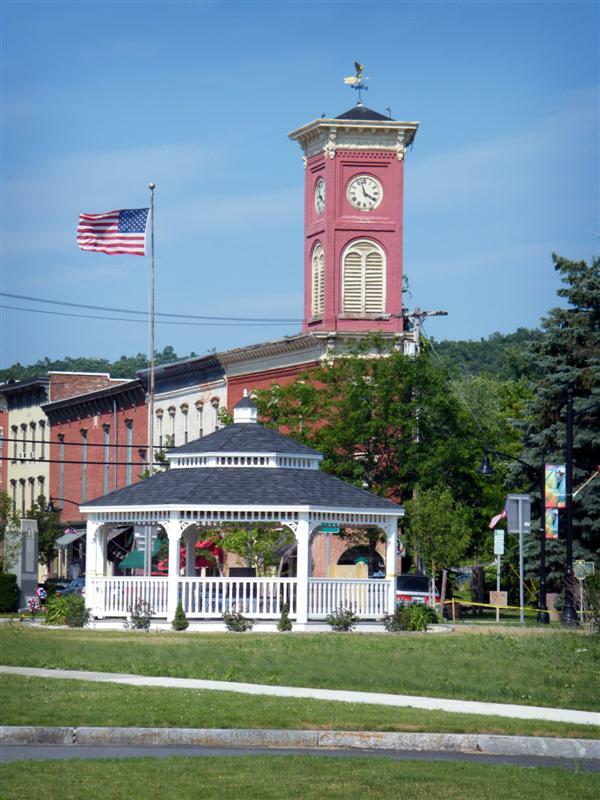 It is now the office for the Chatham branch of the Bank of Kinderhook. And it is still quite beautiful… one of the few remaining vestiges of the Upper Harlem Line that I can actually see. I only learned about Chatham because of the station in Mount Kisco. 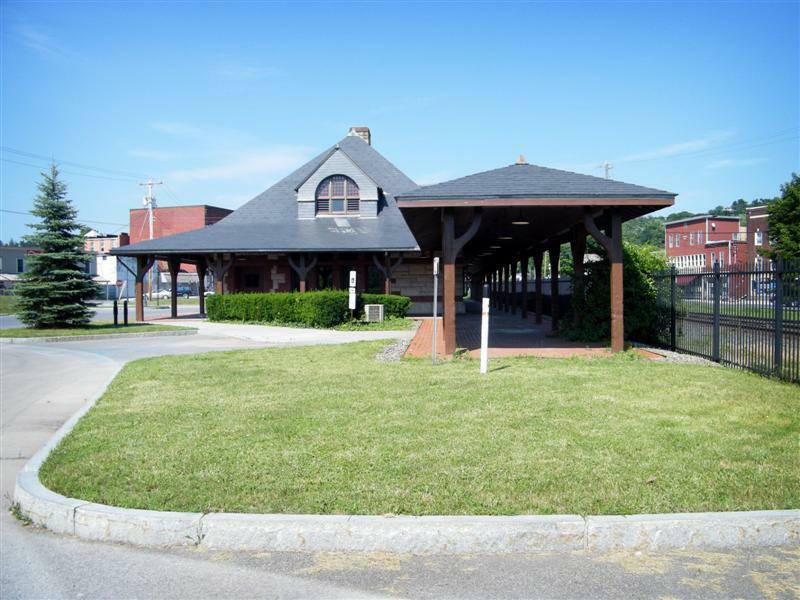 On the roof of the Mount Kisco station, facing the tracks, is a sign that gives mileage, toward the south, to NY, which is obviously New York City. Toward the north, the mileage is to “Ch”. Where the heck is “Ch”, he asked himself one day. On Google maps, by tracing the likely path north of Amenia, NY, you find no obvious “Ch” towns at first, and only find Chatham after you have zoomed down quite a bit in scale. 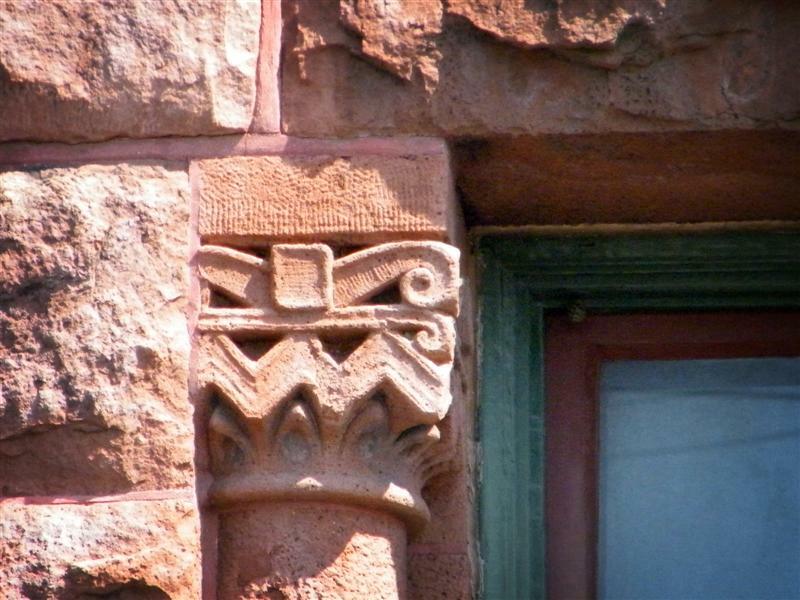 Chatham is no longer the size or importance it once was. 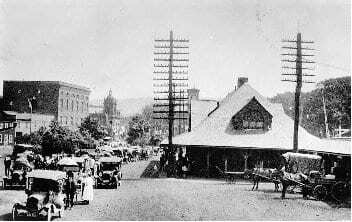 But it had to have been Chatham that Mount Kisco references, since the “Ch” and the approximate mileage match. Mystery solved. Thanks for filling in the details. I’m betting the village is a bit of a time warp. Someday I’ll take a run up there myself to see it. That’s cool… I don’t remember seeing the sign you are referring to in Mount Kisco… is it still there? I’ll have to look for it. But it is pretty likely that is what the sign is referring to. If you ever get a chance do go up there though. Beautiful area… rather quiet though. I know I’m 2 replying 2 years after your post, but yes, the sign is still hanging from the roof of the Mount Kisco station (on the side facing the tracks). The station was refurbished into a restaurant 10-12 years ago and looks pretty good. 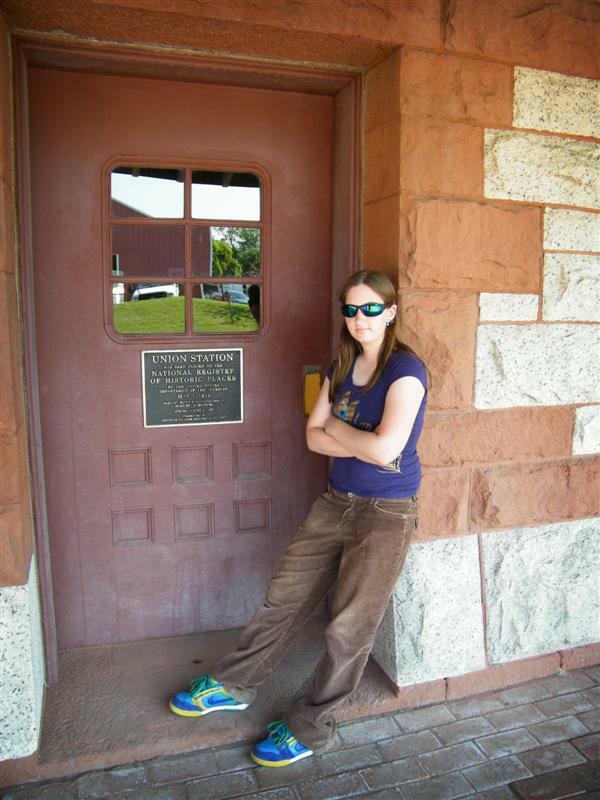 I visited the Shaker Museum there once but missed that great station so now I have to go back! Most of what I know about Chatham is that there are five of them: Chatham, Chatham Center, North Chatham, East Chatham, and Old Chatham. As they used to say in the Army, “Chatham if ya got ’em!”. 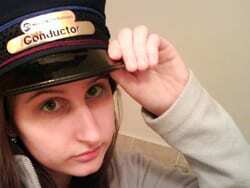 Railfan “coming out”, Yeah, that was me. As more of history buff, I understand the fascination of the what was there. Actually, as much as i enjoy trains, pretty much any massive physical infrastructure fascinates me. Railroads, bridges, canals, old power plants, dams. but I enjoy your posts, and your accuracy is pretty good. Having grown up in Mahopac, the Harlem was a short bike ride at croton falls. Back in the day before the high level platforms, the M-3’s and now the 7’s and electrification I could ride to Brewster and wander around the yards on the weekend touring the rag tag collection of former smooth sided long distance coaches. As the Conrail years dragged on and the 40 year old never maintained coaches were failing, Amtrak was jettisoning short haul cars at a good clip as they were replaced with Amfleet cars, and for the last gasp of traditional railroading on the Harlem was played out in stainless cars with some working Air conditioning and riding in the vestibule at an open Dutch door. The train stopping and a trainman opening the trap and dropping a step box. One way, GCT to Croton Falls, $5.75, the Walters transit bus, which paralleled the old put route was $3.50. I don’t remember Budd Cars until after Metro North, and they used SPV’s Brewester North- Wingdale for a few years. I do remember Budd cars on the Hudson, as well a train set of former D&H cars. When are you going to come visit the Poughkeepsie Bridge, aka now as the walkway over the hudson? I too grew up in Mahopac and remember a few of the last freight trains using the ‘Put’ before its demise. My grandparents still lived in Brooklyn and we would pick them up and drop them off at Croton Falls when they would come to visit for the weekend. By the time I was out of high school, the third rail was on the Harlem line up to Brewster North (now Southeast). I do remember seeing the Budd cars on the Harlem near Dover Plains. Too bad the Put and the Goldens Bridge branch are gone, for the area could use the mass transit. It’s great that you took the time to investigate this. 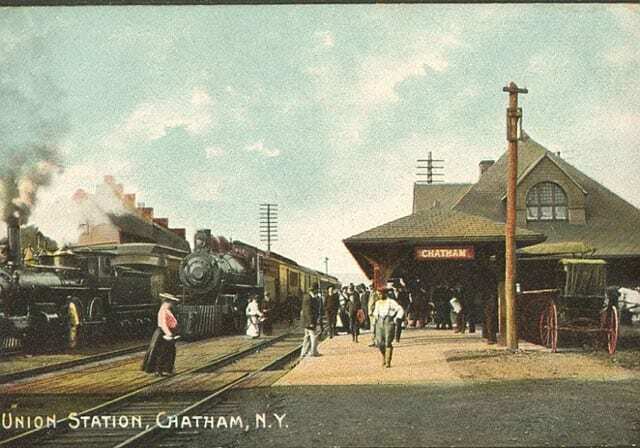 Chatham was also the last stop for a rail line that ran from Hudson to Chatham which shared the last mile or two south of Chatham with the Harlem line. 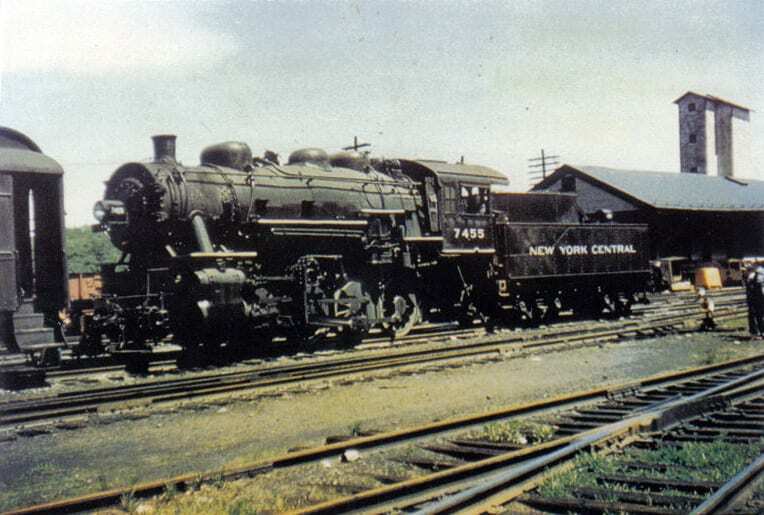 This line later became part of the Boston & Albany line as freight only which became owned by the New York Central. This line now ends at the grain mill just outside of Hudson. 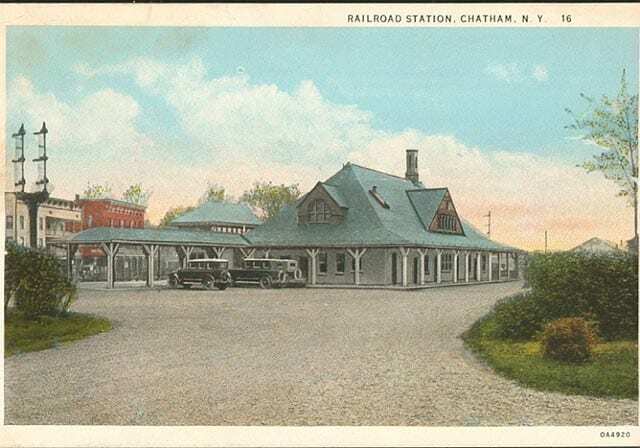 I grew up in Chatham, unfortunately not early enough to see the glory days of Chatham’s railroads. I did ride the Harlem to NYC several times before service ended in ’72. By then the yard was in serious decline. By then the Rutland had been gone almost 20 years. Perhaps the best research on the Rutland was done by Jim Shaghnessy in his book, “The Rutland Road.” A few trains a day still pass through, but imagine that in the 1950s, as many as 40 per day went through. 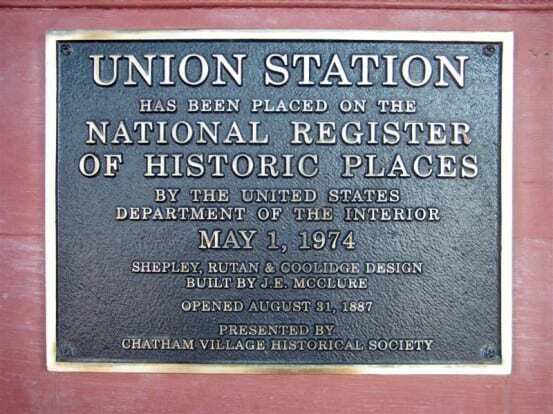 Until I saw this, I knew nothing about Chatham except that it was where I got a speeding ticket on the Taconic State Parkway, which kind of gave it a negative vibe in my mind…I certainly never knew the Harlem line ended there. But hey, here’s something cool — don’t know how much longer this will be up, but right now if you go to Street View on Google Maps to try and look at the old Chatham Station, there’s a Ringling Bros. and Barnum & Bailey Circus train parked there, blocking the view! Oh man, that is pretty awesome! Thanks for sharing! I grew up in the Bronx and we hung out by the Fordham station during the years 1954-1959 watching the NH and Harlem line trains go by quite frequently. In the station , the stairs leading down to the northbound platform had a sign reading “To Chatham”. Fordham was a local stop only so anyone going upstate had to take a local and transfer to an upper harlem train at White Plains. I also spent summers at Goldens Bridge during the time of the change from steam to diesel. I remember the Mahopac Branch trains turning off there. The big treat was when an express came through and picked up the mailbag that the station agent hung on the mail crane. That was long before Route 684 obliterated the town.